Our swimmers put in a fantastic display... the best this campaign and the final result was in balance until the last event. I cannot confirm the overall league position until the results have been verified by HSL. 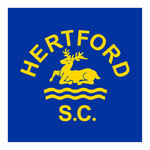 On the night 37 of the swims were the best of the three rounds and included 8 1st places, 13 2nd places and 7 3rd places. 16 individual PBs were recorded and a further 23 best relay splits. Teddy to William Charles for 2 PBs in the 100 Free and Fly and 3 best relay splits in possibly his last representative swim for Hertford before he departs for university in the autumn. Well done Will. Thanks to all that competed so well, your effort is really appreciated, especially those that only get the one swim (it can make all the difference), all of the officials and poolside help and a special thanks to Rachel for all her efforts. As soon as we receive confirmation of the final league placings we will let you all know.